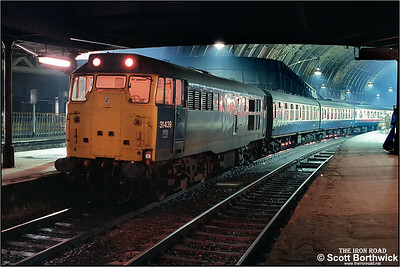 31439 awaits departure from London Paddington with 1F34 1708 London Paddington-Oxford on 20/11/1984. 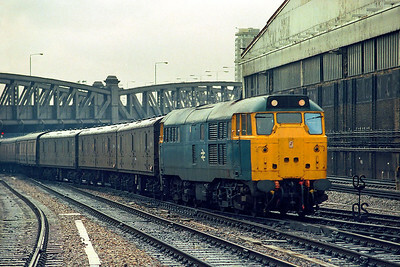 31135 arrives at London Paddington during a downpour on 25/03/1985 with 3A03 1340 Bristol Temple Meads-London Paddington mail vans. 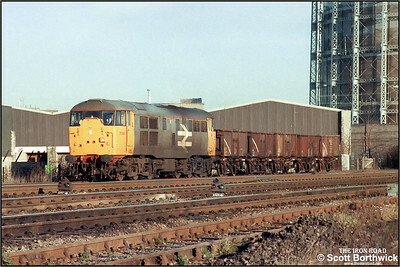 31144 passes Washwood Heath with a trip working from Washwood Heath Sdgs-Bordesley conveying a short rake of open wagons for loading with scrap metal on 19/12/1986. 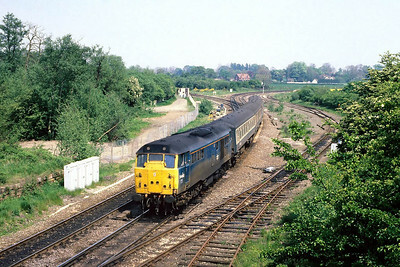 31460 passes Whitacre Junction on 14/05/1988 with the last loco hauled 0928 Cambridge-Birmingham New Street, Sprinterisation followed. 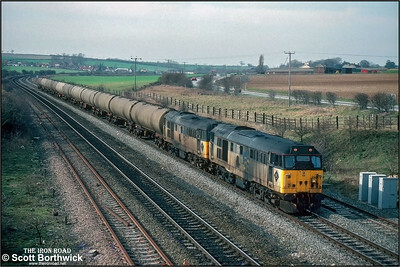 Filthy 31319+31199 are held at the signal at Melton Ross whilst working 6D42 0934 Leeds ORT-Lindsey Oil Refinery on 06/03/1992. 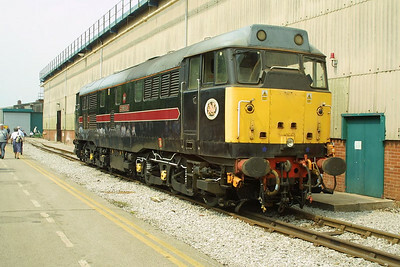 31459 exhibited at Crewe Works Open Weekend on 31/05/2003. 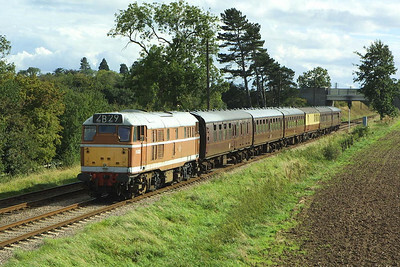 In rapidly fading autumnal sunshine 31128+31459 head 'The St James Day Tripper' 1Z44 1642 Norwich-Preston at Frinkley Lane, Marston on 06/09/2003. 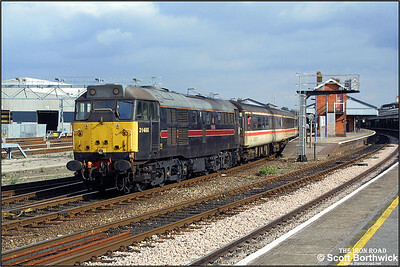 31602 leads 31468 into Salisbury whilst working 1O98 1200 Cardiff Central-Brighton on 26/09/2003. 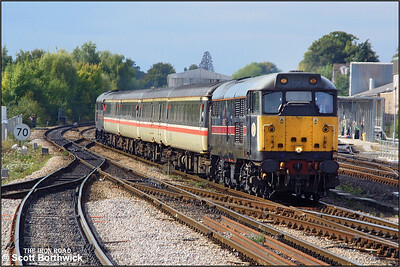 31468 brings up the rear of 1O98 1200 Cardiff Central-Brighton as the train arrives at Salisbury on 26/09/2003. 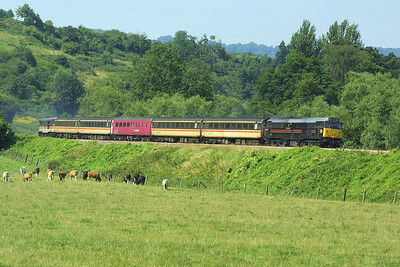 31454 leads 31128 at Freshford on 31/07/2004 whilst working 2V79 1156 SO Weymouth-Bristol Temple Meads. 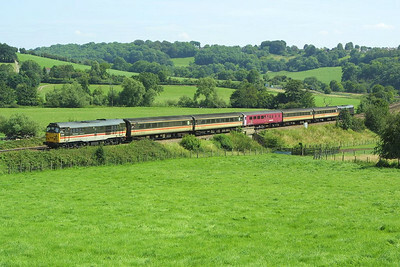 31128 leads 31454 as they growl through the Limpley Stoke Valley south of Bathampton with 2O90 1428 SO Bristol Temple Meads-Weymouth on 31/07/2004. 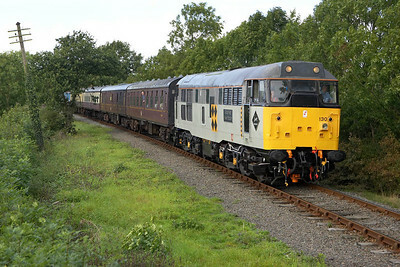 D5830 works 2B29 1500 Leicester North-Loughborough on 18/09/2004, pictured at Woodthorpe. 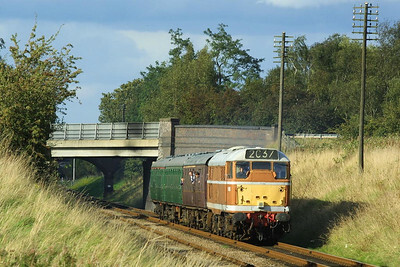 D5830 is seen at Woodthorpe on 18/09/2004 during the GCR's Autumn Diesel Gala working 2C37 1605 Loughborough-Rothley. 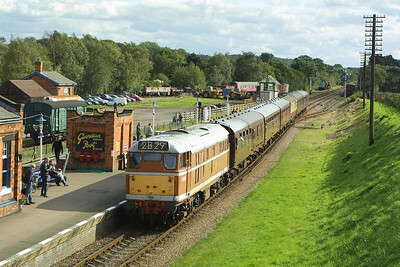 D5830 is pictured at Woodthorpe on 18/09/2004 during the GCR's Autumn Diesel Gala working 2C37 1605 Loughborough-Rothley. 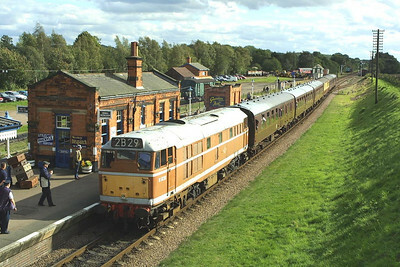 D5830 arrives at Quorn & Woodhouse with 2B29 1500 Leicester North-Loughborough on 19/09/2004. 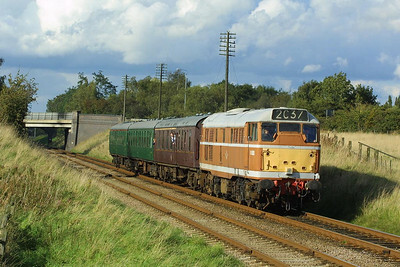 D5830 draws to a halt at Quorn & Woodhouse with 2B29 1500 Leicester North-Loughborough on 19/09/2004. 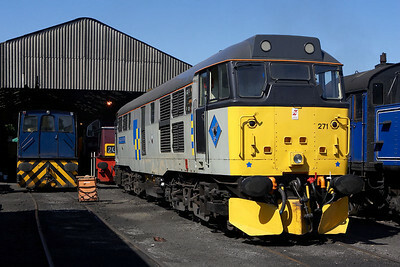 The Nene Valley Railways diagrammed diesel locomotive on 17/07/2005 was 31271 pictured here awaiting its first duty of the day on Wansford Shed. 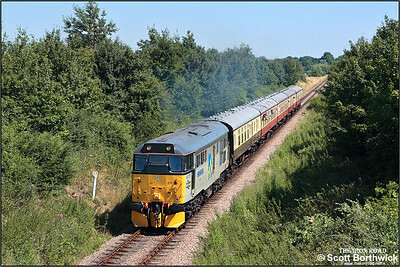 31271 passes Mill Lane, Castor whilst working the 1245 Wansford-Peterborough service on the Nene Valley Railway 17/07/2005. 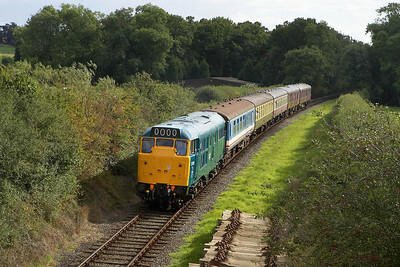 31101+31130 work the 1300 Shackerstone-Shenton service near Carlton on 29/09/2005. 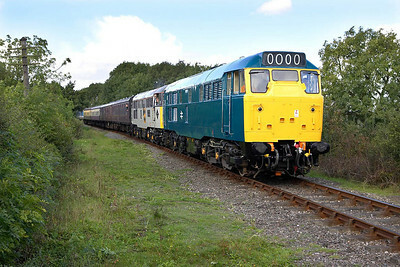 31101 emerges from the shadows as it powers away from Market Bosworth on 25/09/2005 with the 1430 Shenton-Shackerstone service. 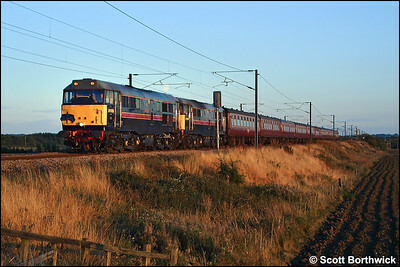 31130 is pictured near Carlton on 25/09/2005 whilst working the 1600 Shackerstone-Shenton service. 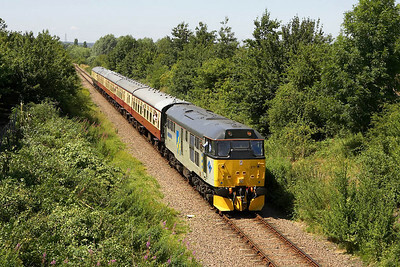 33019 was on the rear of the train out of view. 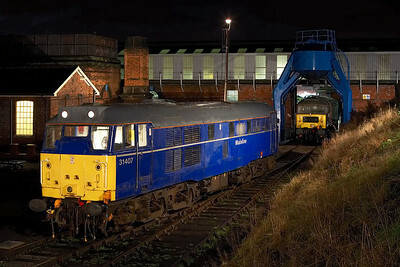 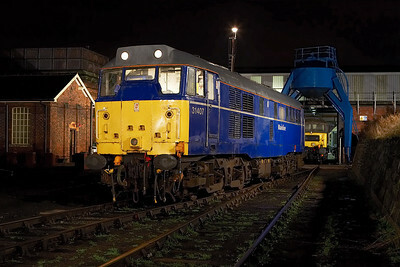 31407 stands in the yard at Barrow Hill TMD with 47769 standing in the roundhouse on 12/02/2006.